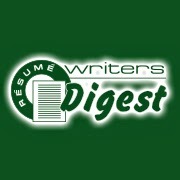 Ideas, information, and resources for professional resume writers. While reading a post on ERE about whether resumes will become obsolete, I read in the comments section about an interesting "interactive" resume style. I have to admit -- looking at the sample, it's not THAT too far off from reality ... but totally useful. Be sure to look at the little "information" ("I") graphics on the right hand side. His video resume is pretty interesting -- here's a guy who actually "talks" like his resume! Dates: Friday, October 16 and Saturday, October 17, 2009. Location: Caribe Royale All-Suite Resort Hotel, Orlando, FL (just 2 miles from the gates of Disney). $119/night for 2-room suites with microwave and refrigerator; in-room Internet $4.95 for 24 hours. Louise Kursmark, Best Impression Career Svc. 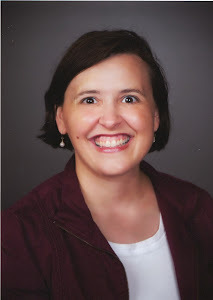 Inc.
Barbara Adams, CareerPro Global Inc. Early bird rate of only $440 for members and non-members! Two, four, and five month payment plans available: $220x2; $110x4; and $88x5. Vendor rate, only $599; payment plans available. Registrants are entered in a drawing for free registration in CDI's Entrepreneurial Wisdom program (self-paced version). Program registration is an $1199 value. Registration includes two full days of programs and events! Registrants receive all materials, workshops and seminars, two hot breakfasts, four breaks, two lunches (one banquet), and all networking events. Beautiful suites for less than the price of most rooms! Only $119 for 2-room suites with refrigerators and microwaves. Low, low rate on in-suite Internet! Terrific central Orlando location and transportation! Free Shuttles to four Disney Theme Parks. At last! 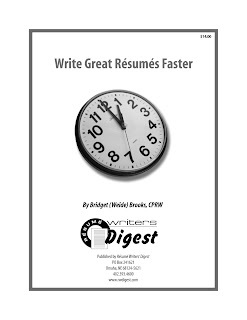 I've finally incorporated in the more than 100 tips and strategies submitted by professional resume writers in my "Write Great Resumes Faster" survey -- and have turned the "Write Great Resumes Faster" book into a Special Report! It's more than 50 pages of ideas, tips, and information -- including more than 20 pages of accomplishment-stimulating action verbs, profile traits and descriptors, and keywords. Like the print edition of the book (which made it to a second edition), it's equal parts INSPIRATION and REFERENCE. I recommend printing it out, three-hole punching it, and putting it in a binder. When I need inspiration for a Qualifications Profile, I flip through and, inevitably, something comes to mind. The action verbs are particularly useful. Order it online for immediate download -- just $14. GET THE FREE REPORT: "Profile of Professional Resume Writers: Who We Are, What We Charge, How We Work"
How Do I Get My Company Logo on My LinkedIn Profile? © 2007-2014 Image Building Communications for Resume Writers' Digest. Awesome Inc. theme. Powered by Blogger.